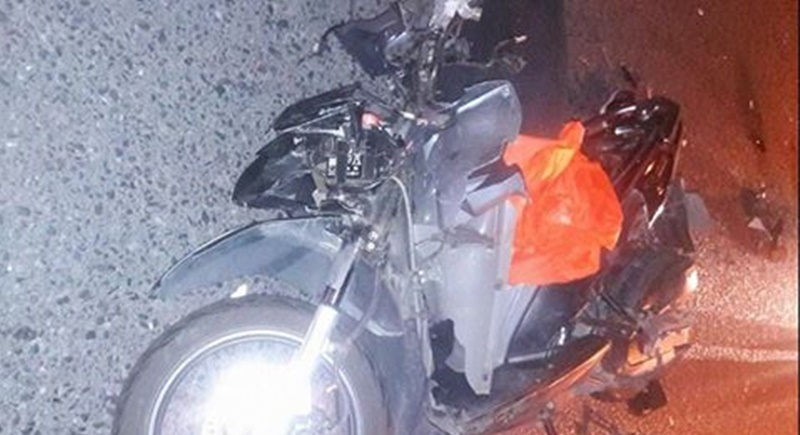 PHUKET: Karon Police have confirmed the death of a Filipino man and a Myanmar woman after a head-on motorbike collision on Patak Rd, Karon at about 3am this morning. Both drivers suffered serious injuries and were taken to Vachira Phuket Hospital, though both later succumbed to their injuries at around 6am, confirmed Maj Patiwat. Contrary to online reports that the unnamed woman was drunk, Maj Patiwat said, “The hospital has yet to confirm whether either driver was drunk. “Now, both of their bodies are at Vachira Phuket Hospital. “I am sorry, I’m very busy right now, it’s not convenient for me to give more information,” he added. A friend of Mr Mina’s, who preferred not to be named, contacted The Phuket News regarding the incident. He said Mr Mina was driving home to Chalong from Karon, where he works as a drummer. “He’s coming from Karon driving home to Chalong and the Burmese girl was driving in the opposite way on the curve of Patak Rd, Karon,” he said. “The girl lost control of her motorbike and went to the opposite lane and crashed into Mr Art,” he added. “The doctors tried to revive him but the impact was too strong that even his full-face helmet wasn’t able to help him,” said Mr Mina’s friend. It has been confirmed to The Phuket News that Mr Mina's relatives are aware of his death.